We updated you in August and September 2016 about what we’re doing to reduce driving test waiting times. Since then, we’ve cut the waiting times from an average of 11.2 weeks to an average of 7.8 weeks now (16 December 2016). We understand the impact these waiting times have on you and your pupils and we would like to share what we are doing to address this issue. From mid-September to early October, driving examiners were joined by Local Driving Test Managers and Operations Managers from across DVSA to carry out driving tests. This led to an extra 182 staff carrying out around 20,000 extra tests. Since April this year, we have recruited 264 examiners. We expect that figure to increase to around 400 by the end of March 2017. We've also made improvements to the way new entrants are trained so they are testing sooner. However, the arrival of extra staff brings the challenge of making sure there’s enough space in driving test centres for them. DVSA’s Estates team is working hard on this, including reviewing existing test centre accommodation to see if space can be better used. We’re providing driving tests using accommodation in the wider DVSA estate in areas where there’s currently high demand. It's part of our drive to reduce waiting times and provide a service that meets the needs and expectations of our customers. We've already done this in places like Avonmouth, Chelmsford and Tottenham. We'll continue to announce these through the DVSA Direct email alert service, so make sure you've signed up and told us where you're based in your subscriber preferences. DVSA will stop providing taxi assessments for local councils on 31 December 2016. Ending these assessments will free up around 23,000 test slots a year. DVSA has given guidance to local councils about other organisations that can be used to provide this service instead, such as road safety charities and driving instructor organisations. Over the summer, we offered driving examiners the option to work extra hours during evenings and weekends at a number of tests centres across Great Britain. This allowed us to carry out around 13,000 more tests. We also offered driving examiners the option to carry out more tests during October half-term. This led to an extra 1,000 tests being carried out. Driving examiners have also been given the option of working extra hours between now and March 2017. This includes offering tests in some locations on Boxing Day and New Year’s Day. We know that these appointment times won’t suit everyone, but it’s important to provide the option. The average waiting time is now 7.8 weeks. We expect the waiting time to reduce to around 6.4 weeks by the end of March 2017 as a result of the recruitment of more driving examiners and carrying out extra tests out-of-hours. However, this could change depending on the weather during the rest of winter. Thank you for your continued patience. We don’t underestimate the effect that any delay in taking a test has on both you and your pupils. Can anyone explain these test times..? That's absolutely fantastic and demonstrates that the DVSA can and will respond effectively and flexibly to meet extra demands. Well done! @ Alan Barr: Do you know what 'average' means? Thanks for your comment. We are looking to see if we can provide more driving tests using accommodation in the wider DVSA estate, such as LGV test centres. For example we are now offering car tests from Bishopbriggs LGV test centre with a current waiting time of 4 weeks. We’ll continue to monitor and review the success of offering additional sites in areas where demand is high, to help to reduce waiting times. Shame that just last week one of my pupils has had her test on 30th December cancelled and moved to 7th April!!! It had been booked since September!!!! I'm really sorry to hear that. We only cancel a test as a last resort. You can look for earlier dates by checking https://www.gov.uk/change-driving-test you can also follow @DVSA_HelpMe on twitter, as they tweet the next available tests. You can search for updates about your local test centre by using the specific hashtag. For example, #AnnieslandDTC is the hashtag for Glasgow Anniesland Driving Test Centre. Yes and while Motorcycle tests are hard to get hold of you cut us down by 20% in the winter when demand is still high. Why not wait until demand drops. Unfortunately...the motorcycle examiners were taken off motorcycle testing to cover car tests...now the waiting time for motorcycle tests has increased....Peter was robbed to pay Paul. Thank you for your comment. Demand for motorcycle tests usually drops in the winter months and we monitor this carefully so we can balance the use of our examiner resource to try and keep all our waiting times at the right level. The national average appointment availability for motorcycle tests has been 5.2 weeks or lower since September and is currently 3.8 weeks for the theory test and 4.2 weeks for the practical test. Our aim is to achieve an annual average of six weeks or less. We’ve worked hard to reduce car test waiting times and balancing the examiner resource allocation across all our driving and riding test services is an important part of improving this. Candidates in Slough are waiting on average 14 weeks and at the moment can't book a test as dates are not showing at all on system!!!! Double the national average!!!! Are they not showing dates at all to hide the true waiting time from the statistics??? The waiting times should be no more than 4 weeks and we as driving instructors should be able to swap tests within the three/four day window this would enable more tests to be saved due to late unavailability of test candidates! 'Average' means covering up the areas where the waiting time for tests is stratospheric by including times where there is little demand and tests are available within a couple of weeks. As a result what is not acceptable can be made to seem acceptable by the use of statistics. It is said that 'there are lies, damned lies and statistics' - take your pick. In the future, when self-driving cars become popular and there is little demand for driving tests, DVSA might achieve its' target - don't hold your breath. They will probably retire most of the examiners as they have done in the past when demand falls, and the waiting times will still be just as long. Will there be any more Examiners recruited in March or will you be using people from the current Recruitment Drive? Thanks for your comment. We're currently looking at the number of examiners we've recruited this year and are continuing to progress candidates through the recent campaign. On that basis, we’ll make a decision on the numbers of examiners required in the next recruitment round which is currently planned for launch in the Spring of 2017. To be more fair, the government must allow candidates a video recording in driving tests. Still lots of work to be done to bring the waiting times down. The next available test in Nottingham (Colwick) is mid-March. Stating national 'averages' is meaningless to people in this area. I have been training instructors for around 15 years. The situation with waiting times and availability has got WORSE. We cannot even get a part three date now in Luton or Northampton without continually contacting DVSA and almost begging for a date!! We all know 'National Average' figures are meaningless to the majority of instructors. During your latest recruitment campaign for Driving Examiners in Oct 2016, it was mentioned candidates are likely to be invited to the Assessment Centre at the beginning of November although dates could change. Can anyone please confirm whether any dates have been arranged for candidates to attend this Assessment Centre considering we are coming to the end of 2016? The assessments for the latest advert started in December and have continued throughout January and February. Based on current success rates, we'll probably finish the assessments stage within the next two weeks. It's not possible to invite everyone who is successful at the situational judgment test. This is why we make it clear when advertising that success at the situational judgment test doesn’t guarantee an invite to an assessment centre. In Trowbridge, Wiltshire we use to have a perfectly good test centre which operated five days a week with eight test bays, but it was closed several years ago. The building has stood there empty all this time and to try and get a test in the now two day a week community centre with only two examiners is approximately 16 weeks. If the DVSA would consider reopening the old ready made test centre everyone would be alot happier. Reference to the current recruitment campaign for Driving Examiners (Oct 2016). Are there any scheduled dates for candidates being invited to the Assessment Centre any time soon? Hi DVSA, can you please investigate and find out why Kings Heath examiners are so Harsh in failing pupils. The sad fact that the student has waited for 4 stressful months, and then the examiner decides to harshly mark. It's further startling to see that automatic cars have a lower pass rate than manual? Surely something needs to be done to improve waiting times, examiners conduct at that centre as too many pupils are failing there, and just a quick google search and reviews will all show you negative experiences and ratings about the Kings Heath Test Centre. Please make improvements particularly with more pleasant Examiners. Please do have more female examiners there, thanks. It’s essential all drivers demonstrate that they have the right skills, knowledge, and attitude to drive safely. 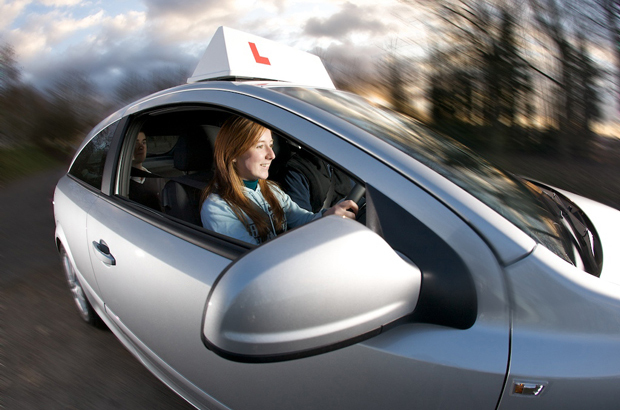 The driver testing and training regime tests candidates’ ability to drive safely and responsibly as well as making they know the theory behind safe driving. All candidates are assessed to the same level and the result of their test is entirely dependent on their performance on the day. If you wish to make a complaint, please visit our complaints guidance page.